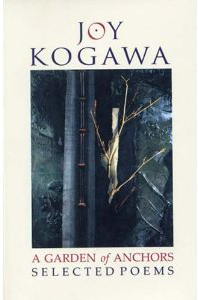 I have chosen Joy Kogawa’s Obasan to be the ‘K’ book for my A-Z Canlit challenge. I can’t believe I have waited so long to read this book, but I was helped along by the book fairy when I recently came across a copy of it at a book sale. I snatched it up just in time to read it for my challenge. As her website states, Joy Kogawa was born in Vancouver, BC in 1935 to Japanese-Canadian parents. Her family, as well as many other Japanese-Canadian families, were forced to evacuate their homes during the Second World War, and were not permitted to return. She writes about this injustice in her highly acclaimed book, Obasan. 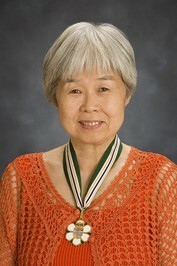 In 1986, Joy Kogawa was made a Member of the Order of Canada, in 2006 she was made a Member of the Order of British Columbia, and in 2010 the Japanese government honored her with the Order of the Rising Sun. 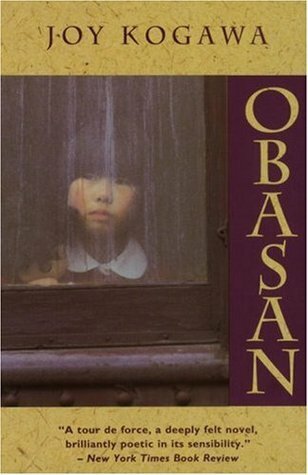 Obasan – This book tells the story of Japanese-Canadians during the Second World War, through the eyes of a child. 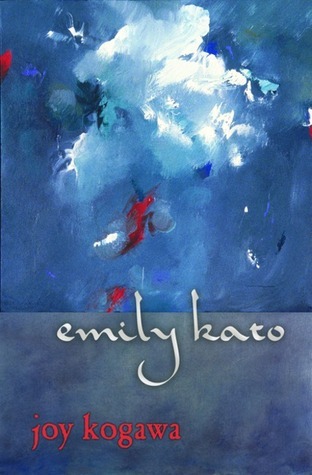 Itsuka, which was renamed Emily Kato on the 60th anniversary of the bombing of Nagasaki – This book follows the character from Obasan into adulthood, where she becomes involved in the movement for governmental redress. 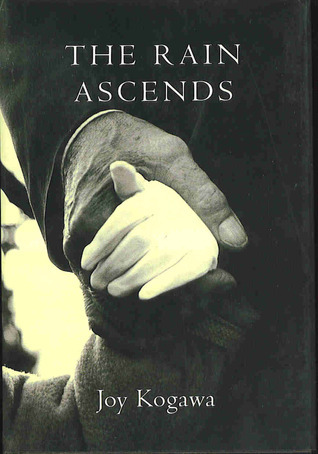 The Rain Ascends – A middle-aged woman discovers that her father, an Anglican priest, has been sexually abusing boys. A Song of Lilith – Combines poetry and artwork to tell a feminist version of the biblical story of Lilith. 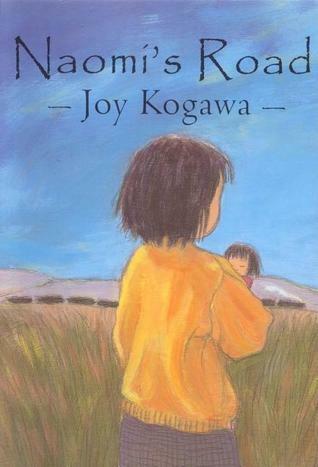 Naomi’s Road – A version of Obasan for children. 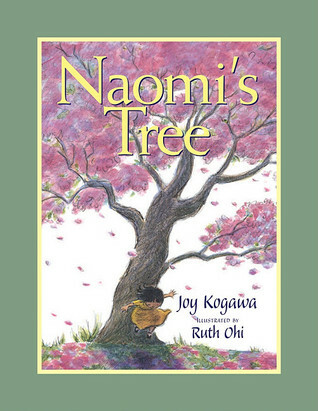 Naomi’s Tree – A cherry tree in the yard of a little girl awaits her return many years later. This story has the same characters as Naomi’s Road, and is also for children. In 2003, Joy Kogawa realized her old home in Vancouver was for sale. It was bought and, in 2005, turned into the Historic Joy Kogawa House, a place where writers can live and work in the Vancouver area. “While in residence, the writer would work to enrich the literary community… and foster an appreciation for Canadian writing through programs that involve students, other established and emerging writers, and members of the general public”. In 2013, George Stroumboulopolis conducted an interview with Joy Kogawa on his show. They talked about the memoir she is working on, the impact and importance of her book Obasan, and how her Historic Joy Kogawa House came about. The video includes a clip of Ed Broadbent reading from Obasan in Parliament, as well as Brian Mulroney giving an official apology to all Japanese-Canadians for the injustices they suffered by the Canadian government during WWII and its aftermath. Here’s an interview with Joy Kogawa in The Origami, on reconciling with Japan’s past. Celebrating Consumed By Ink’s First Year! Next time when you are reading through the alphabet, put all the letters in a bowl and draw. You might just get k first or z. The randomness of it all, you know. That would have been a fun way to do it, too, but for some reason I didn’t even think of doing it that way. Maybe next time! I didn’t know the author, so thanks for the post! Obasan sounds like an interersting pick. I am already finished it, and I’m glad that I chose it! It is a moving and important book, and I learned more than I should have (I should have already known all about it). I knew that had happened in the U.S. I wasn’t aware that Canada did it, too. I’ve always thought it was interesting that they didn’t do it to German Americans. If they had, my father’s family would have been booted out. Naomi, thanks for recognizing Obasan as a great book. It’s just being released by Puffin Books in a version for young adults, the same poetic text but with a new cover. Here’s a link: http://bit.ly/1zAWQmO. And here’s more information about her childhood home, Historic Joy Kogawa House, where we host writers and other creators to live and work: http://www.kogawahouse.com. Appreciate your interest! Thanks for commenting, Ann-Marie! And, thanks for the links. The new cover looks great, and there looks to be a lot of good things going on at Joy Kogawa House! If I didn’t live on the opposite coast, I’d come visit it. Maybe someday I will get there.